Mental tension is common with every individual in today’s world. This is a major cause for headaches and other related issues. However, a bad Vastu can be a major reason for mental tension and headaches and can be avoided to quite an extent by rectifying the defects caused there from. Listed below are some major issues relating to Vastu which can bring about unnecessary tension and headaches in one’s everyday life. • When the main door of the house is in the southeast towards the east, it can be a major Vastu flaw which can cause unnecessary headaches and tensions. The best is to shift the main door to the north east towards the east. This would rectify the defect and ease tensions for you. • Sleeping under a beam can cause extreme mental pressure and headache on getting up, hence one should avoid sleeping under it at any cost. • The North Pole energy coming from the north direction interrupts with the body energies if you happen to sleep with your head in the north direction at night. This would again cause headaches, heaviness and incessant body pain. The remedy is simple; one should always make sure to place the head in the south while sleeping. • There should not be unwanted nails drilled on the walls of the houses. This leads to headaches for its residents. Nails which are not in use should be taken off from the walls to provide relief from unnecessary tensions. • A house should never have a dais in the northeast. This too would create pressure on the mind and lead to severe headaches. Vastu is an ancient science backed by logics and proper explanations, one needs to understand its effects on the human mind and the surrounding he lives in. 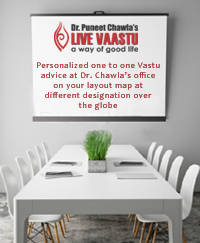 If vastu defects can be overcome, it would lead to overcoming of many mental grievances and avoid various unpleasant situations in one’s everyday life, thereby paving way for a happy and healthy life ahead.